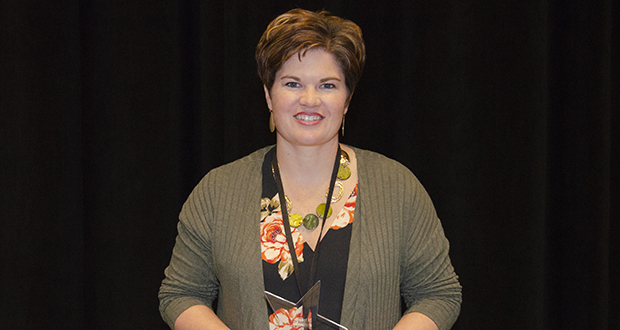 Statewide Treatment Court Coordinator Abby Kuschel was honored Tuesday, Oct. 23, at the Minnesota Toward Zero Deaths (TZD) Conference with a 2018 TZD Star Award for her contributions to keeping Minnesota roads safe. The TZD Star Awards are given to leaders in several fields who have demonstrated exceptional creativity, leadership, and organizational skills, and the ability to successfully motivate and collaborate with others to move toward zero deaths on Minnesota’s roads. Kuschel provides statewide program support, technical assistance and information to District Courts and state court administration for treatment courts throughout Minnesota.